Sector 9 has been into this business for quite a long time so there is no doubt that they have the idea of how to make some of the best longboards out there. And the Sector 9 Dropper is definitely a great example of such a board – a pure perfection if I may say. What makes this particular longboard so special? The short answer would be that every detail of this board is carefully considered to provide you with the best riding experience. 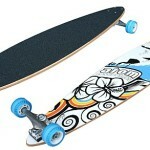 The board is 41.8’’ long and 9.6’’ wide with a 29.0’’ wheelbase. Drop Through Mount with 10.0’’ Gullwing Charger Trucks and 70mm 80a Butterball Slide Wheels that hide ABEC 5 PDP Bearings. 8 Ply Cold Pressed Maple covered with 3200 Jessup Grip Tape. 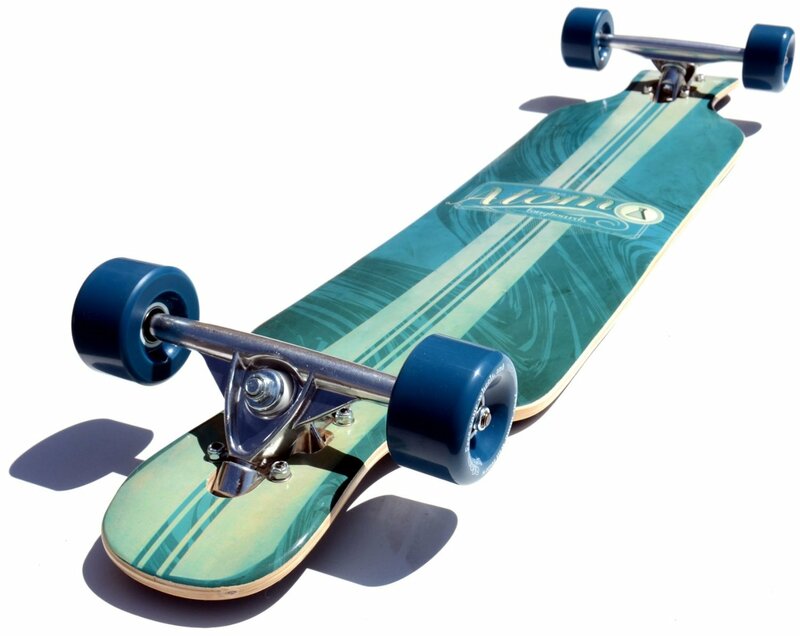 The setup of this board if one of the most popular of all Sector 9 longboards due to its ability to satisfy the different needs of various riders. First of all – the drop-through platform provides great cruising and freeriding experience and won’t disappoint when it comes to downhill. It is so because the lowered center of gravity on this board will ensure better stability in different conditions and will make sliding much easier. What is more, the nose and tail kick lets you perform different freestyle maneuvers so you’ll be able to perform some slow speed tricks as well. The longboard features a mild drop flat form and there are shoulders at both ends on each site of the board and because it is covered with the high quality 3200 Jessup grip tape your feet will be locked in at the needed position in all riding conditions. All together these features will give you that feeling of confidence and safety in any speed. And with the drop-through platform you’ll be able to perform impressive, high speed, slides. Click here to take a look at some of the best sliding gloves that will provide you with even greater riding experience. The Gullwing Charger trucks and ButterBall wheels will give you the feeling of complete control over the board even on rough roads, thus you’ll able to go wherever you want to go – that is of course highly important for freeriding. And the PDP ABEC 5 bearings will allow you to gain speed easily and will provide you that soft riding experience for a long time. This board is a great choice for riders of different styles, but before you make the final decision take a better look at other great longboards that will provide you with a phenomenal riding experience. And always remember not to fall for cheap, low quality boards that will destroy the pleasure of riding a longboard. There are of course a lot of longboards in the market that will give you an ideal riding experience in different types of longboarding for all kinds of riders. 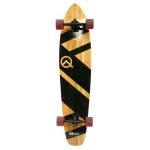 But what would you do if you want to get yourself a board that will provide you with a great cruising experience. Will be a great freeriding boards and won’t let you down if you want to go down the hill in high speed. Well you could buy three different boards. Or, you could just get yourself a Dropper. Because the way this board is designed allows you to get a nice ride in different conditions. And that is exactly what you want when investing in a quality board. What is more, this board looks really good. And the confidence it gives you will get you going in a higher level. There is no doubt about it.